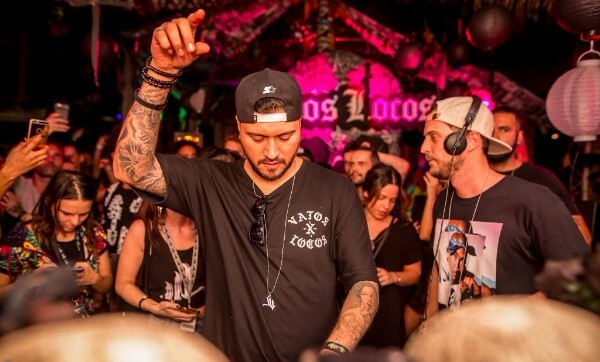 Hector and the Vatos Locos crew recently announced their residency at possibly one of Ibiza’s coolest hangouts, Ibiza Underground. 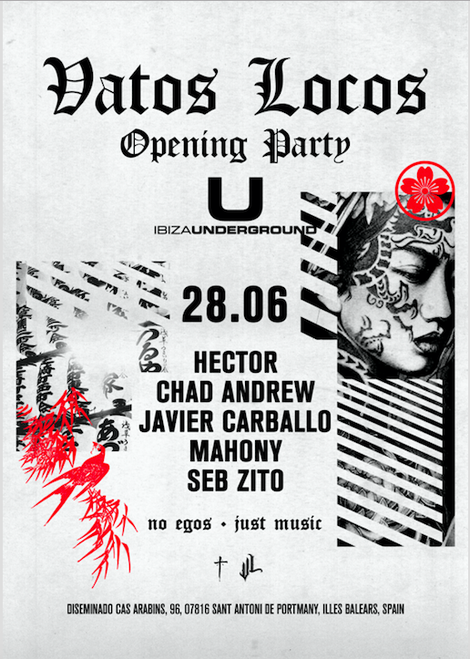 Underground is a club close to Hector’s heart, and after the apparent success of his birthday celebration at the venue last year, it quickly became clear to him that it would be the perfect home for Vatos Locos’ debut residency on the island. Underground plan to reveal each line-up in the week leading up to the event. Since launching at The BPM Festival in 2015, Hector's Vatos Locos concept has apparently proven pretty popular. Starting off as a small party with a tight-knit crew of residents; David Gtronic, Chad Andrew, Randall M, Hanfry Martinez and Javier Carballo, who still remain entwined as part of the musical fabric, to growing and inviting international guests such as Stacey Pullen, Dubfire, Hito, D’julz, Seb Zito, Cassy, Livio & Roby. Through the rise of Vatos Locos, it still remains important to Hector that he never shy away from the original foundation on which the events were apparently created; to throw good quality parties, with no egos involved. Simply to strip it back to friends coming together and playing records, capturing the true essence of a party.